Dogs can’t fully be dogs unless they’re in motion. They want to run, jump, play, and wag their tails – it’s instinct, and it’s why we love them. But sometimes all this activity and the passage of time can prove too much for their joints. Arthritis in canines is actually one of the most prevalent health issues seen by veterinarians; whether it be rheumatoid or septic arthritis, abnormal joint cartilage development (osteochondritis dissecans or OCD), or spinal arthritis (spondylosis deformans). There are a myriad of other impairments and genetic disorders that could be limiting your furry friend’s lifestyle of mobility. Knee ligament injuries, anterior cruciate ligament disease, canine hip dysplasia, elbow dysplasia, and dislocated knee caps are common as well. All of this joint pain can usually be traced to one common cause: the breakdown of cartilage. In the case of arthritis, white blood cells mistakenly attack and weaken joint lubrication, while run-of-the-mill injuries can break down lubricating membranes, creating similar, but temporary, damage. Whatever the cause, a dog with joint pain needs help and would love to have freedom from pain. Luckily, research has shown that the nutrients glucosamine and chondroitin paired with the antioxidant methylsulfonylmethan (MSM) can have a positive impact on joint reparation and pain relief. 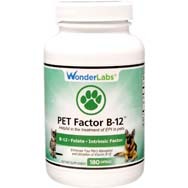 Even better, all three of these ingredients can be found in Wonder Lab’s Pet 700 supplement. 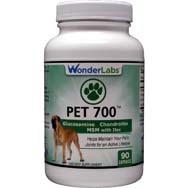 While chondroitin helps with inhibiting white blood cell attacks on lubricating membranes and with facilitating joint cartilage repair, glucosamine aids in the reinforcement of this cartilage and the replenishment of lubricating fluid. MSM plays many roles, but most importantly it aids in pain relief and anti-inflammatory processes. The ingredients in Pet 700 can help your canine feel more like their younger self. 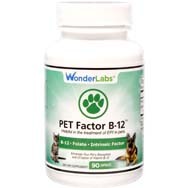 It can also support preventative measures in younger and otherwise healthy dogs. Studies have shown that consistent use of supplements containing these ingredients can help increase range of motion in joints, improve gait, decrease limping, and increase thigh muscle mass throughout a dog’s life. 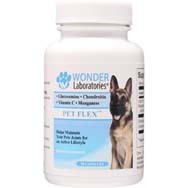 In essence, these supplements help dogs stay active and better equipped them to take on the effects of time and chronic pain. Mobility is your pet’s lifestyle. Pet 700 can aid your canine pal’s recovery from joint damage, or help prevent future pain and injury. Keep his tail wagging and his legs running. Help him keep the active canine lifestyle you both know and love.